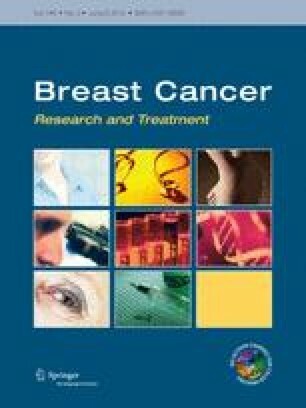 The definition of Luminal-B subclass of breast cancer (BC) varies in literature. In this study, we have compared the proliferation status; assessed using KI67 labeling index (KI67-LI), and HER2-expression in estrogen receptor positive (ER+) BC to assess their impact on the biological and clinical characteristics of luminal-BC. 1547 (73.8 %) well-characterized clinically annotated stage I–III ER + BC were assessed for expression of KI67, HER2 (ASCO guidelines), and a large panel of relevant biomarkers (no = 37). 46.3 % of the cases show high KI67-LI (>13 %) and 8.4 % show HER2+ and both markers are positively associated with younger age, higher tumor grade and poorer outcome. High KI67-LI and HER2+ are associated with upregulation of ER-coactivators and proliferation-related markers and with downregulation of good prognostic markers. High KI67-LI is associated with larger size, advanced stage, and lymphovascular invasion (LVI) and with downregulation of luminal-enriched and DNA-damage repair markers. In contrast, HER2+ is associated with upregulation of ER-regulated proteins and E-cadherin. When analysis is restricted to high KI67-LI subgroup, HER2+ shows an association with upregulation of differentiation-associated proteins and E-cadherin. Conversely, within HER2+ class, high KI67-LI maintains its association with downregulation of differentiation-associated/luminal-enriched proteins. Outcome analyses indicate that both markers are independently associated with shorter survival but HER2+ is associated with a worse outcome. Although both are associated with high proliferation and poor prognosis within ER + BC, HER2+ is less frequent than high KI67-LI. Unlike KI67, HER2 seems to independently drive the aggressive behavior of ER+ tumors without downregulation of luminal proteins. Dena A Jerjees is funded by the higher committee of educational development in Iraq. This study was approved by the Nottingham Research Ethics Committee.